Fresh toamtoes, cucumbers, spinach & basil topped with steak & a sour cream & chives dressing. Sour cream & chives dressing: Mix together the sour cream, chives, lemon juice and garlic. Basil & tomato salad: Assemble the tomato wedges, cucumber slices, baby spinach and fresh basil leaves. Drizzle with a little olive oil and season with salt and pepper. 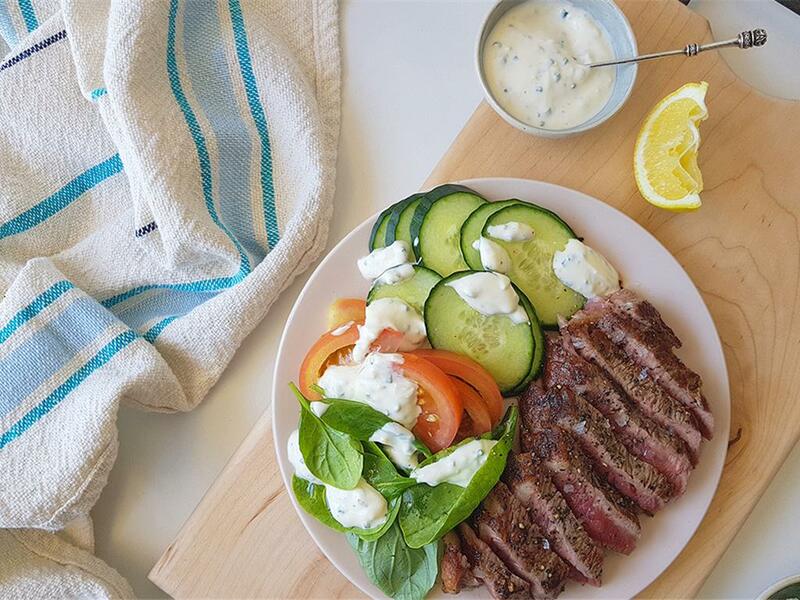 Serve by topping the salad with the steak and sour cream & chives dressing.